The Voter Verifiable Paper Audit Trail (VVPAT) machine had stopped functioning polling booth no. 200 in Silchar. Polling is yet to begin at booth number 29/134 at Islampur Hindi FP School of Uttar Dinajpur, in Raiganj parliamentary constituency, as the Electronic Voting Machine (EVM) at the booth is not functioning. 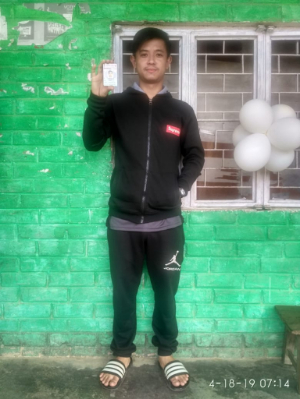 A first-time voter from Manipur Millionaire Longjam, seeks better road infrastructure and justice for all. The young voter is of the opinion that influential people often get away after committing crimes or misdemeanour by using their influence and money without being held accountable. He wants the next government to change that. In Silchar, there are 11,91,289 voters including 6,13,931 males, 5,77,283 females and 75 third gender people voting for 13 candidates in the second phase of 2019 Lok Sabha election. Whereas in Cachar, there are 58 voters who are over 100 years old and 44,000 first time voters this time. Meghalaya registered 55% voter turnout till 3 pm in the Lok Sabha election 2019. Zero polling has been recorded at booth no. 6 and 8 in the Naxal affected Mathili block in the Malkangiri district of Odisha. Only polling officials are present there in the booth. No voters, nor any political agents turned out till 2 pm. 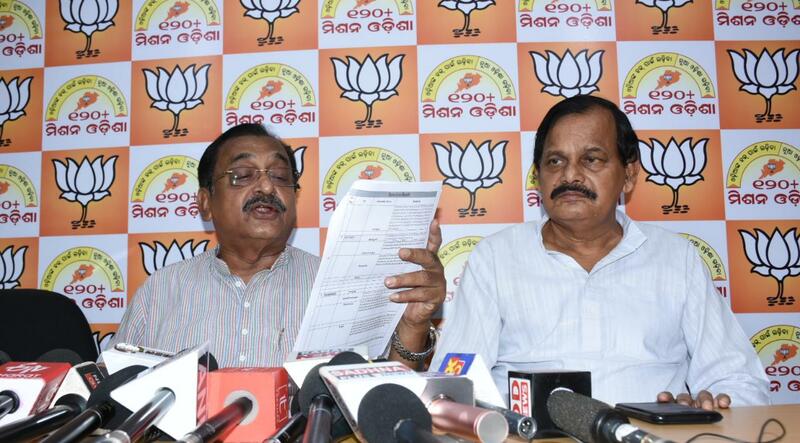 Odisha BJP vice-president Samir Mohanty, in a press conference, alleged rigging at several booths in the Chikiti assembly segment under the Behrampur Lok Sabha seat. BJP poll agents were not allowed inside the booths while one BJP agent was locked inside booth no - 159 of Koraput, he alleged. “Though we had given the list of sensitive booths to the CEO, no arrangements were in those booths,” he said. Mohanty alleged that BJP's Chikiti Assembly candidate, Manoranjan Dyanasamantray was thrashed at the Jhatiapadar booth-no 42 by local BJD leaders. The BJP has alleged that at the Maruganj 8/105 booth of Coochbehar constituency, the EVM has a nail polish mark on the BJP button. This ploy, they claim. is being used by TMC to identify anyone voting for the BJP. A polling officer at the Rangphlang polling station (part of East Khasi Hills) in Meghalaya developed a health issue and was transferred with the help of a ropeway. The standby polling officer was sent at the booth as his replacement. The voting percentage in Nagaland till 11 am was reproted to be 41%, while 35.03 % was reported from Manipur. Meghalaya voter turnout till now is reported to be 27%, while Arunachal Pradesh witnessed 27.48% voting. Meanwhile, 41% of voting till 11 am has been reported from Sikkim, News18 reported. BJP candidate Nisith Pramanik claimed that in the Sitai 6/257 and 258 polling booths of Coochbehar Lok Sabha constituency widespread rigging is being witnessed. He also alleged that the police looked helpless in front of TMC men armed with rods and machetes. In Manipur, an EVM machine failure was reported at 32/29 Heirok Khunku Polling Station. Similar incidents were also reported at 33/6 Shikhong and 33/2 Ningel polling stations in the same assembly segment. Meanwhile, in West Bengal the EVM stopped working at Anjuman School 7/236 Anjuman School. Voting also stopped at Acharya Sir Prafulla Chandra Ray Higher Secondary School in Agartala, part of West Tripura Lok Sabha constituency, due to EVM malfunctioning. Sumitra Rai (107) from Mamley, the oldest voter registered to vote in the 2019 Lok Sabha election in Sikkim will cast her vote in the Kamrang secondary school polling station under the Poklok Kamrang constituency. From Sikkim 34% voter turnout was reported till 9 am, while 17% was reported from Mizoram. Whereas, in Nagaland, 21% turnout was reported till 9 am, News18 reported. According to reports, workers of the Trinamool Congress and the Bharatiya Janata Party clashed in West Bengal's Cooch Behar. The incident comes after reports of a TMC Gram Panchayat chief being attacked, along with two others, on Wednesday night allegedly by BJP workers at Mathabhanga in Cooch Behar. The three were later hospitalised, News18 reported. Voting is underway for the five of a total 14 Lok Sabha seats in Assam in the first phase of Lok Sabha election. Voting started at 7 am, across 9 ,574 polling stations in the five constituencies of Kaliabar, Tezpur, Jorhat, Dibrugarh and Lakhimpur. A total of 76,03,458 electorates are eligible to cast their ballots. Out of the 9,574 polling stations, 201 are reserved for women. Sixty lakh voters in Odisha will exercise their franchise in the first phase of polls for four Lok Sabha and 28 assembly seats on Thursday. The first phase of polls will decide the fate of 217 candidates. There are 26 hopefuls in fray for the Lok Sabha seats and 191 for the Assembly seats. Narendra Modi tweeted: "Lok Sabha Election 2019 commence today. I call upon all those whose constituencies are voting in the first phase today to turn out in record numbers and exercise their franchise. I specially urge young and first-time voters to vote in large numbers." Of the two seats in Arunachal Pradesh, Union Minister Kiren Rijiju is seeking re-election from the Arunachal West Lok Sabha constituency. The National People’s Party (NPP) has put Khyoda Apik as its candidate opposite Rijiju. The Union Minister also has to contend with Congress candidate Nabam Tuki and Janata Dal (Secular) candidate Jarjum Ete. Ete, 56, is the first woman candidate fielded by any party for a Lok Sabha seat in Arunachal Pradesh. As per the directions of the Election Commission of India (ECI), drinking water and shaded areas to protect voters from the summer heat will be arranged, and `Sakhi' polling booths (where all officials will be women) will be adequately set up in all constituencies. Assam will see five of its 14 parliamentary seats going to the polls with Congress MP and son of former chief minister Tarun Gogoi, Gaurav Gogoi contesting from Kaliabor. There are over 3.93 crore registered voters in the first phase of voting, of whom 10 lakh are first-timers. They will exercise their franchise in 46,120 polling stations. Over 79,000 EVMs, 42,000 control units, 46,000 voter-verifiable paper audit trail (VVPATs) are being used for the election for which two lakh officials have been deployed across 34,604 polling stations, News18 reported. The fate of all the candidates would be known on 23 May after the seven-phase general election across the country comes to an end. Ninety-one Lok Sabha constituencies spread across 18 states and two Union Territories, including all seats in Andhra Pradesh and Telangana, will go to polls on Thursday in the first phase of the 2019 Lok Sabha election. Unions ministers Nitin Gadkari, Kiren Rijiju and VK Singh are among several big names who will contest today. 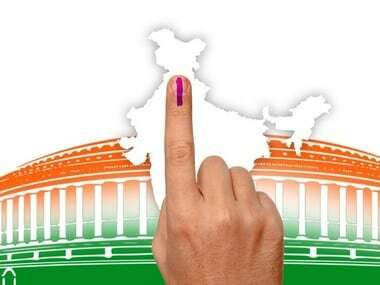 All parliamentary constituencies of Andhra Pradesh, Arunachal Pradesh, Meghalaya, Mizoram, Nagaland, Sikkim, Andaman and Nicobar and Lakshadweep, Telangana and Uttarakhand will go to polls in this phase. Besides, Assam, Bihar, Chhattisgarh, Jammu and Kashmir, Maharashtra, Manipur, Odisha, Tripura, Uttar Pradesh and West Bengal will also vote on 11 April. Shillong parliamentary seat had a voter turnout of 63.56 percent and Tura had 75.60 percent. In Meghalaya, the voter turnout stood at 67.16 percent, according to official data from the EC. Surendra Kumar, Chief Electoral Officer, Odisha told ANI, "We have been successful in conducting the first phase of polls in a free, fair & peaceful manner. There has been no untoward incident whatsoever reported in the polls. The failure rate of EVMs has been under 1%." Assam Pradesh Congress Committee president Ripun Bora said, "There is no Modi wave at all. People have totally lost faith in Modi and during this five years a perception has been created in the public that Modi is a liar." Kalahandi local Sushil Kumar Majhi on why the district's people boycotted election, "There are two roads which lead to our village - one runs through a dense forest and the other is dangerous and is avoided by all. We had told this to District Collector and DCP in 2017 but to no avail. And there is still no road. So we have boycotted the election." In the Futajar High Madrasa polling station at Rupahihat in Assam’s Kaliabor constituency alleged Congress workers got into a scuffle with BJP supporters. Three BJP supporters, namely Zahirul Islam, Khairul Islam and Moinul Haque, were injured. Zahirul Islam was allegedly stabbed with a knife by A Hannan, former president Futaljar Gaon Panchayat. An FIR has been lodged at Rupahihat police station by the victim. A centenarian from Tajang village of Ziro with her youngest son in read coat (Village headman) joins the festival of democracy. Former Chief Minister of Assam Tarun Gogoi alleged that the Prime Minister Narendra Modi's visit to the state of Assam for campaigning on polling day is a violation of the model code of conduct. Gogoi further said that the Prime Minister could have campaigned tomorrow since no polling is scheduled for the day and also said that soliciting votes in the name of the martyrs of the Assam agitation is also an indirect violation of the MCC. He said that the martyrs are from the state of Assam and not of the BJP. The Prime Minister addressed two rallies in Assam - one in Kendukona in Kamrup district and the other in Silchar. Modi has visited the state to campaign for the second phase of polls to be conducted on 18 April. "I will resign from BJP if they implement Citizenship Amendment Bill (CAB). I am the first MLA who has reached out to Narendra Modi about this. I will give my life but I will continue to oppose CAB," said BJP candidate from Shillong LS seat Sanbor Shullai. Nagaland’s voter turnout stands at 73% till 4 pm. Meghalaya’s voter turnout stands at 75% till 5 pm. 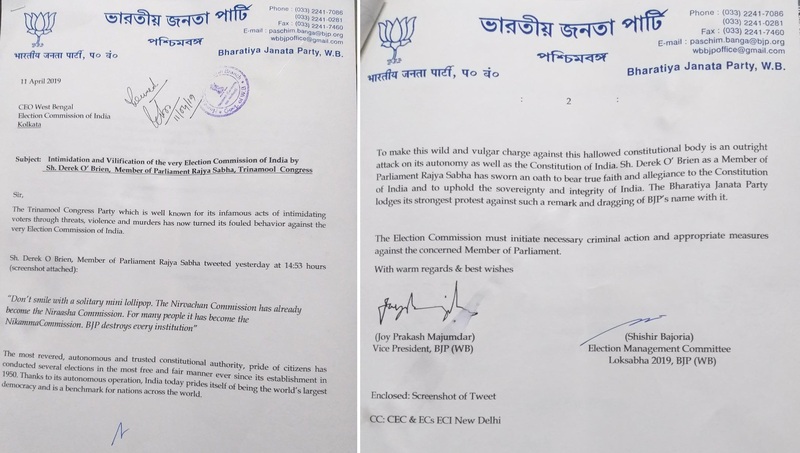 The West Bengal BJP filed a complaint against TMC's Derek O' Brien alleging the 'intimidation and vilification' of the Election Commission by the latter through a tweet that said, "Don’t smile with a solitary mini lollipop. The Nirvachan Commission has already become the Niraasha Commission. For many people it has become the Nikamma Commission. BJP destroys every institution." Zero polling reported in 15 booths at Chitrakonda and Mathili Block of Malkangiri district in Odisha due to suspected Maoist fear, reports CNN-News18. Meanwhile, voters have boycotted polls in Kalahandi over lack of development. Congress leader and candidate from the Tura Parliamentary constituency Dr Mukul Sangma has expressed confidence that the party will win both Tura and Shillong seats comfortably, in a press release. Dr Sangma said that the Congress would do well because the people want to throw out the BJP government. "People have realised that all along the government of the day has only been misleading them with false promises and pretty dreams whereas the people in power have only been interested in filling their own coffers, while acting with pitiable vengeance against anyone that dare question them," the Congress leader said. BJP leaders have with West Bengal Election Commissioner regarding violence across 700 booths in West Bengal. They allege that violence is reported from those constituencies which are under state police. BJP state vice president Jayprakash Majumdar has demanded repolling. Voter turnout till 3 pm in Nagaland is 68%, in Assam is 59.5%, in Meghalaya is 55%, Mizoram is 55.20% and in Tripura West parliamentary constituency is 68.65%. Unidentified men ransack one EVM at a polling station at Barosholmari area of Cooch Behar; BJP pins blame on TMC, reports CNN-News18. 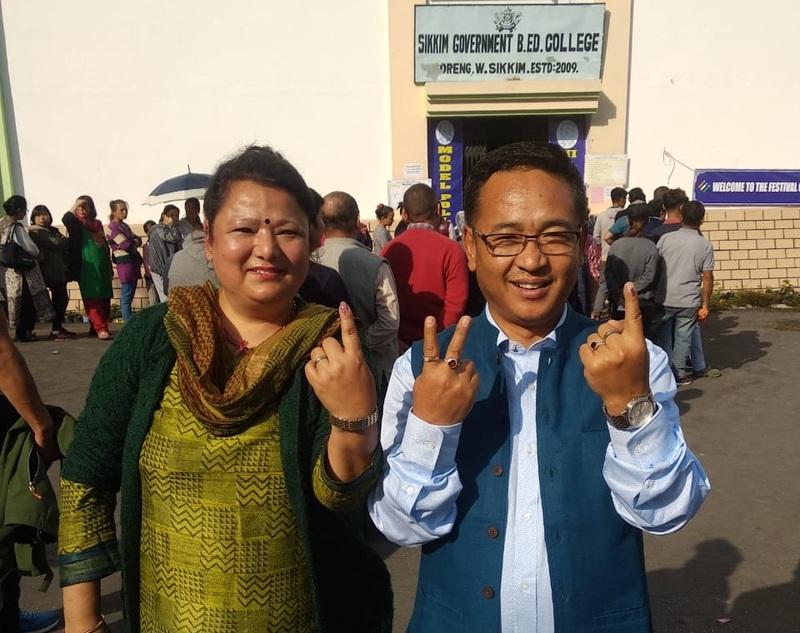 Sikkim Krantikari Morcha (SKM) president PS Golay with his wife Sarda Pakhrin casted their votes at Singling booth under Soreng Chakung constituency of West Sikkim. Golay has been declared the chief ministerial candidate by his party. Golay was convicted in a corruption case and sent to one year in jail before he was released on 10 August, 2018. He was a three-time minister in the Chamling government. Golay started his rebellion against Chamling immediately after he won the assembly election on the ruling SDF ticket for the fourth term in 2009. Amidst the proceedings of the election in full swing at West Tripura Lok Sabha constituency, a doctor was beaten up by local patients. State health minister Sudip Roy Barman rushed to IGM Hospital taking a diversion from his visit to the polling stations of his area. The overall enthusiasm has gone down since the incident. Vivek Dube, the police observer for elections in West Bengal, said that fair and peaceful elections are going on in the state. He also pointed out the helpfulness of the state police. A complaint has been lodged against BJP candidate Sanbor Shullai, who is contesting from the Shillong Parliamentary seat today. At about 12:30 pm, Shullai allegedly came to Shankardev Vidyapith School Polling booth to cast his vote and even tried instigating the voters of the booth to vote for him on the BJP symbol. On discovering this, a polling agent issued a strict warning as it is against the law. In return, he misbehaved with the polling agent. A complaint has been lodged against him in Laban police station by the presiding officer of Shankardev polling station. The vehicle of Tapan Maity, Ghatal Loksabha Convenor, was vandalised by alleged TMC workers at West Bengal's Maisara in Panskura Lok Sabha Constituency. 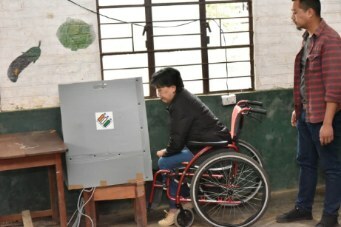 Diethono Nakhro (PWD), who is the Disability Commissioner of Nagaland, cast her vote at Jotsoma, 8 Western Angami A/C. The Mizoram Bru community recorded 29.84 percent by 1 pm. The Brus are voting at a special polling station in the Tripura transit camp at Kanhmun. A BJP delegation led by Jay Prakash Majumdar Vice-President and Sishir Bajoria, Member, Election Committee shall meet the West Bengal CEO at 2:30 pm today. The Meeting is to lodge a complaint against massive rigging and discrepancies in voting at the Alipurduar and Coochbehar Lok Sabha constituencies. Voters in Mariani, in the Jorhat constituency, have boycotted the election as a sign of protest addressing the poor condition of roads. 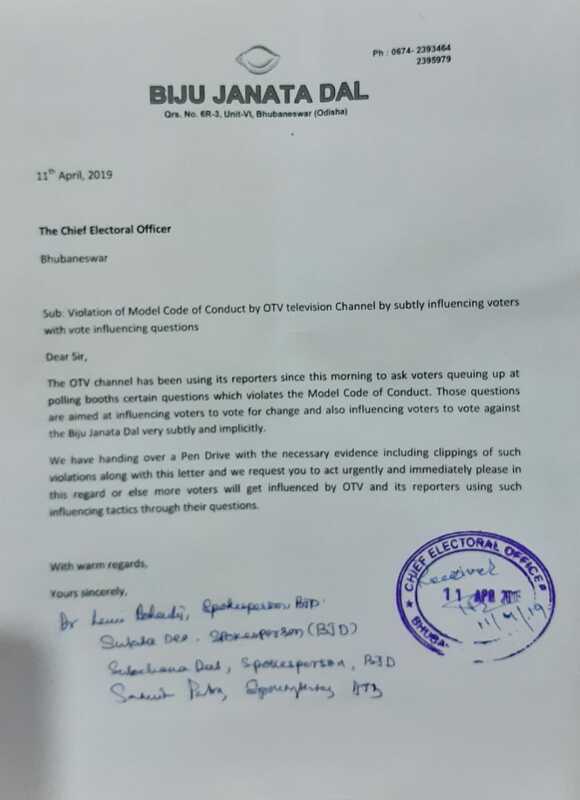 The Biju Janata Dal (BJD) moved the Chief Electoral Officer (CEO) of Odisha alleging breach of model code of conduct by a local TV channel, OTV television. BJP workers have been allegedly attacked by TMC workers in Cooch Behar. Three BJP workers have been critically wounded while four others have also sustained injuries. In the West Tripura Constituency, the core fight is going between BJP candidate Pratima Bhaumik and Congress candidate Subal Bhowmik, who rebelled and joined Congress just a few days before the elections. Apart from that, BJP’s coalition partner IPFT is also fighting in this seat separately. As of 12:15 pm, 35% vote have been cast. Bhaumik alleged that Congress and CPM miscreants are trying to create a nuisance. Meanwhile, the Opposition party is alleging that many of the opposition polling agents have been thrown out forcefully by BJP. East states Lok Sabha election voting LATEST updates: A BJP delegation led by Jay Prakash Majumdar Vice-President and Sishir Bajoria, Member, Election Committee shall meet the West Bengal CEO at 2:30 pm today. The Meeting is to lodge a complaint against massive rigging and discrepancies in voting at the Alipurduar and Coochbehar Lok Sabha constituencies. 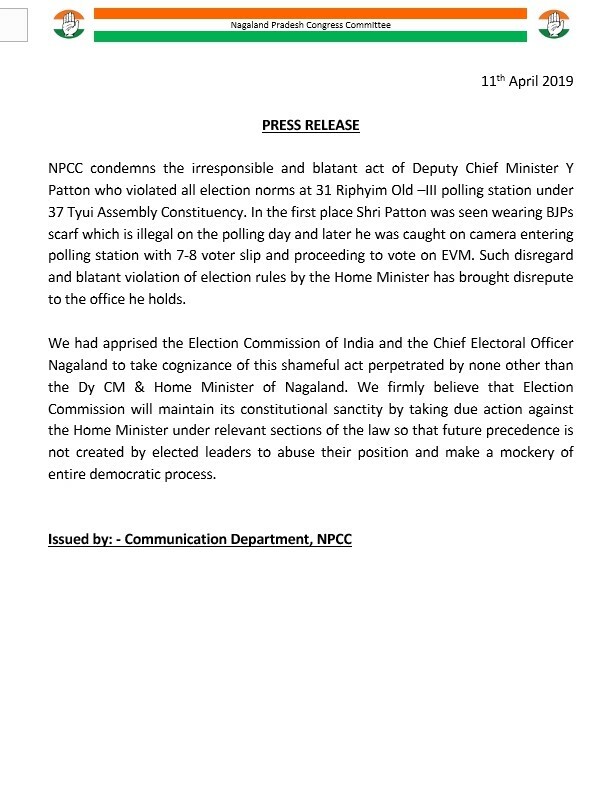 A police complaint was filed against BJP's Shillong candidate Sanbor Shullai for misbehaving with a polling agent. Some BJP workers have also alleged an attack by TMC men. Three BJP workers have been critically wounded while four others have also sustained injuries in the clash. Many pooling booths in Berhampur constituency in the Ganjam district of Odisha greeted voters with beverages to help them beat the heat during voting. One of the reasons for the distribution of complimentary drinks is to attract voters in regions where low voting percentage has been recorded in the past. At one of the polling station in Outer Manipur constituency, people are shying away from casting their votes in this polling station as they hardly have seen any of the candidates. The candidates haven't visited their area for political campaigning or any other electioneering activities. The voting percentage in Nagaland till 11 am was reported to be 41 percent, while 35.03 percent was reported from Manipur. Meghalaya voter turnout till now is reported to be 27 percent, while Arunachal Pradesh witnessed 27.48 percent voting. Meanwhile, 41 percent of voting till 11 am has been reported from Sikkim. In Manipur, an EVM machine failure was reported at 32/29 Heirok Khunku Polling Station. Similar incidents were also reported at 33/6 Shikhong and 33/2 Ningel polling stations in the same assembly segment. Meanwhile, in West Bengal the EVM stopped working at Anjuman School 7/236 Anjuman School. Voting also stopped at Acharya Sir Prafulla Chandra Ray Higher Secondary School in Agartala, part of West Tripura Lok Sabha constituency, due to EVM malfunctioning. Chief Minister of Sikkim Pawan Chamling cast his vote at Namchi, whereas Meghalaya chief minister Conrad Sangma voted at the Walbagre polling station which is a part of the Tura Parliamentary Seat. Apart from them, BJP Jorhat BJP candidate Tapan Gogoi also cast his vote at the Sonari polling booth in Assam. 18.10 percent vote percentage was recorded in West Bengal Bengal till 9 am. From Sikkim 34 percent voter turnout was reported till 9 am, while 17 percent was reported from Mizoram. Whereas, in Nagaland, 21 percent turnout was reported till 9 am, News18 reported. Meanwhile, in Assam's Charaideo district voting percentage was 9.5 percent and Sonari and Mahmora constituencies recorded 8 percent and 11 percent turnout respectively. However, the overall voter turnout from Assam till 9 am is 10.2 percent. According to reports, workers of the Trinamool Congress and the Bharatiya Janata Party clashed in West Bengal's Cooch Behar. The incident comes after reports of a TMC Gram Panchayat chief being attacked, along with two others, on Wednesday night allegedly by BJP workers at Mathabhanga in Cooch Behar. In West Bengal's Cooch Behar constituency, senior citizens came out to vote in the ongoing Lok Sabha election with much enthusiasm. Meanwhile, voters queued up in Manipur's Imphal to cast their vote. Polling is being held in the Outer Manipur Lok Sabha constituency today, which is one of the two parliamentary seats in the state. 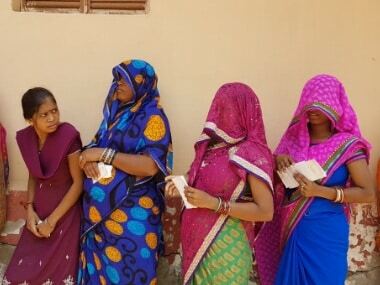 In Odisha, sixty lakh voters will exercise their franchise in the first phase of polls for four Lok Sabha and 28 assembly seats on Thursday. The first phase of polls will decide the fate of 217 candidates. There are 26 hopefuls in fray for the Lok Sabha seats and 191 for the Assembly seats. In an appeal to the nation, Prime Minister Narendra Modi tweeted: "Lok Sabha Election 2019 commence today. I call upon all those whose constituencies are voting in the first phase today to turn out in record numbers and exercise their franchise. I specially urge young and first-time voters to vote in large numbers." In Assam's Dibrugarh, voters started arrived early at polling booths no. 156 and 158 ahead of the voting for the first phase Lok Sabha elections 2019. Assam will see five of its 14 parliamentary seats going to the polls with Congress MP and son of former chief minister Tarun Gogoi, Gaurav Gogoi contesting from Kaliabor. In the first phase of Lok Sabha election 2019, polling will be held in 91 out of 543 Lok Sabha constituencies spread over 20 states and Union Territories on Thursday. Out of these, 20 seats fall in the east region comprising of Odisha, West Bengal and the north-eastern states. In east India, polling will be held in Odisha and West Bengal on Thursday from 7 am to 6 pm, except for the areas hit by Left-Wing-Extremism, where the voting will take place from 7 am to 4 pm. In the North East, voting will take place between 7 am and 5 pm in Assam, Arunachal Pradesh, Mizoram, Sikkim and Tripura. While, outer Manipur, Nagaland and Meghalaya will go to polls between 7 am and 4 pm. Cooch Behar and Alipurduar will be the two constituencies in West Bengal to go to the polls on Thursday. The ruling Trinamool Congress in West Bengal and the BJP are the main contenders in the two north Bengal seats, while the CPM-led Left Front and the Congress will fight to make their presence felt. From the Left Front, All India Forward Bloc will contest from Cooch Behar and Revolutionary Socialist Party will fight in Alipurduar. Cooch Behar district has the distinction of housing 51 enclaves which became part of India in 2015 after the exchange with Bangladesh. The enclaves have 15,000 dwellers. With the seat located on the Indo-Bangla border, infiltration, livelihood for the enclave dwellers and employment for the youth are the main poll issues. Alipurduar is reserved constituency for scheduled tribes as it has a large population of adivasis who migrated to the region during the British era to work in tea gardens. There is also a sizeable chunk of Nepalis and Rajbangshi tribals. The poor condition of tea garden workers, specially since the closure of several tea gardens since the 1990s, will play a major role in this election. 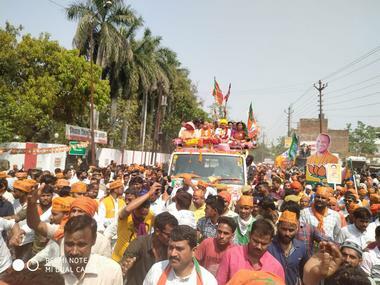 The two constituencies witnessed high-pitched campaign which was mainly polarised between Prime Minister Narendra Modi and Trinamool Congress supremo and West Bengal chief minister Mamata Banerjee. In Alipurduar, the TMC has nominated Dasarath Tirkey against John Barla of BJP. The Congress and the RSP candidates are Mohanlal Basumata and Mili Oraon respectively. The TMC has fielded Paresh Adhikari against the BJP's Nisith Pramanik in Cooch Behar, where Piya Roy Chowdhury of the Congress and Gobinda Roy of Forward Bloc are also in the fray. A total of 18,09,598 electorate will decide the fate of 11 contestants in Cooch Behar, while 16,42,285 voters will choose from seven in Alipurduar. The Election Commission has made an elaborate security arrangement with the deployment of 83 companies of the central force, besides an adequate number of state forces. Besides general election observers and expenditure observers, the poll panel for the first time deployed a special police observer. In another first, VVPAT will be used in all polling booths along with the EVMs. 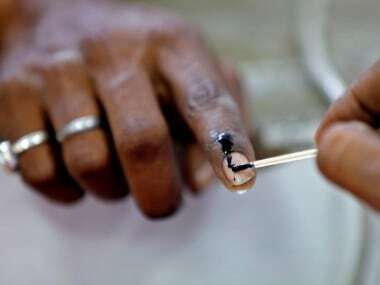 In Odisha, voting will be held in four Lok Sabha and 28 Assembly seats on Thursday. Elaborate security arrangements have been made to ensure smooth polling and foil any attempt to disrupt the process in Maoist-affected areas. Several areas in Kalahandi, Nabarangpur, Berhampur and Koraput Lok Sabha constituencies and 28 Assembly segments falling under them are Naxal-hit. While polling parties have already been dispatched to their respective stations, security has been tightened mainly in Malkangiri and Koraput districts to thwart any bid by Maoists to derail the poll process. At least two helicopters are being used to send polling officials to inaccessible and highly-sensitive polling stations in Malkangiri, Kumar said. An extra vigil is being maintained and an alert sounded in the wake of the killing of five people, including an MLA, in Dantewada area of neighbouring Chhattisgarh and recovery of two landmines in Gajapati district, a police official told PTI. Around 47,805 polling personnel are being deployed to conduct the first phase of the polls, Chief Electoral Officer (CEO) Surendra Kumar said. Special arrangements have been made in 2,375 critical and sensitive polling booths, while satellite phones provided in 810 booths, where there are no mobile or internet facilities. The first phase of polls will decide the fate of a total of 217 candidates. There are 26 hopefuls in the fray, including two women, in four Lok Sabha constituencies, and 191 candidates, 16 of them women, in 28 Assembly seats.